HERE’S SOME ADVICE FOR PARENTS FROM THE FEDERAL BUREAU OF INVESTIGATION ON HOW TO KEEP YOUR KIDS SAFE ONLINE. Make it a rule with your kids that they can never give out personal information or meet anyone in person without your prior knowledge and consent. If you agree to a meeting between your child and someone they met online, talk to the parents/guardians of the other individual first and accompany your kids to the meeting in a public place. Encourage your kids to consider whether a message is harmful, dangerous, hurtful, or rude before posting or sending it online. Teach your kids not to respond to any rude or harassing remarks or messages that make them feel scared, uncomfortable, or confused and to show you the messages instead. MAKE INTERNET SAFETY A FAMILY AFFAIR! 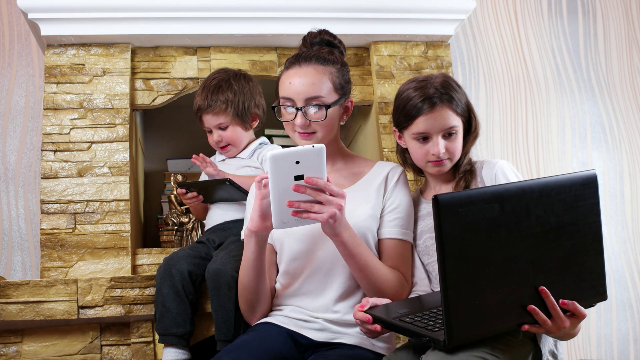 The FBI advises two of the most important things parents can do to keep kids safe online is to “be aware and involved.” One way to get the conversation started is to spend quality time with your kids online. Visiting websites like FBI Kids, Netsmartz.org, and Common Sense Media is a great place to start. These sites offer in depth information for parents in addition to fun, educational games and videos for kids and teens. Try exploring Internet safety together as a new family connection!